It takes little more than that first view of Clydey Cottages to understand exactly why it has won Best Place to Stay in Wales almost annually since 2010. The views, over meadows, hills and woodland, are spectacular and the picture perfect 18th century stone exteriors of these pretty farm cottages are utterly charming. Later comes the relaxed feeling of being able to let your little ones 'off the leash' and roam freely amongst 20 acres of beautiful grounds, by which time, most people are just about ready to move in full-time themselves, especially now there's a complimentary children's club/creche! 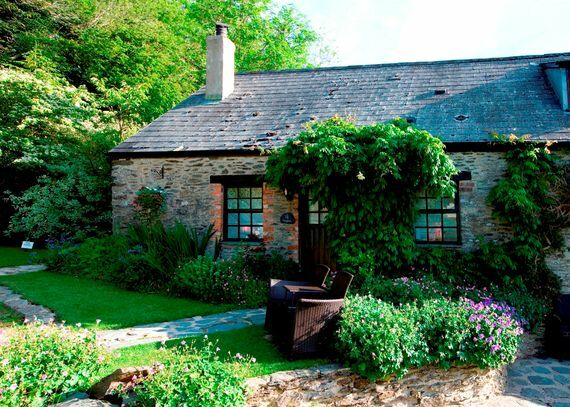 Owners, Dewi and Jacqui Davies ditched their briefcases in favour of tool belts and completely renovated the cluster of 10 cottages in mid 2003. The results are luxurious, comfortable and exceptionally well-equipped homes-from-home with interiors that are stylish, although leaning more towards sympathetic than contemporary. 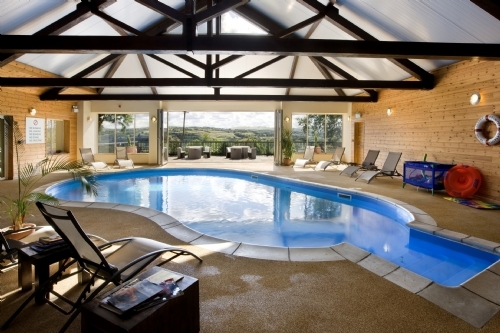 The indoor and outdoor hot tubs, indoor heated swimming pool, spa suite offering Decleor treatments and sundeck, with breathtaking views, ensure relaxation comes easily to parents, whilst mini guests adore getting involved with the farm thanks to the daily animal feeding and egg collecting rounds. If that doesn't wear them out, then being free to roam the almost traffic free grounds, well-equipped timber play area and a fantastically well-equipped indoor playroom with soft play and cosy coffee corner for grown ups, along with swimming in the indoor pool, is sure to have the desired effect, which will allow parents to indulge in pre-bookable hampers of fresh, organic local breakfast goodies and the excellent range of 'Cook!' gourmet ready-meals available in the honesty larder. 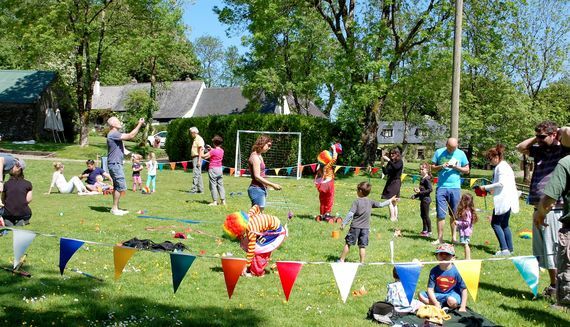 Recently, Clydey has introduced a complimentary creche and kids club which is run by CRB checked and qualified staff two days a week. This gives parents the ideal opportunity to sneak off to the new spa suite and sample on the indulgent Decleor branded treatments or one of the weekly Baby Massage classes. During school holidays there are also regular circus skills and woodland adventure sessions, which parents are welcome to join in with too. Foxglove Cottage is a pretty one bedroomed stone cottage, with plentiful character thanks to the wooden beams throughout and rustic country interiors. 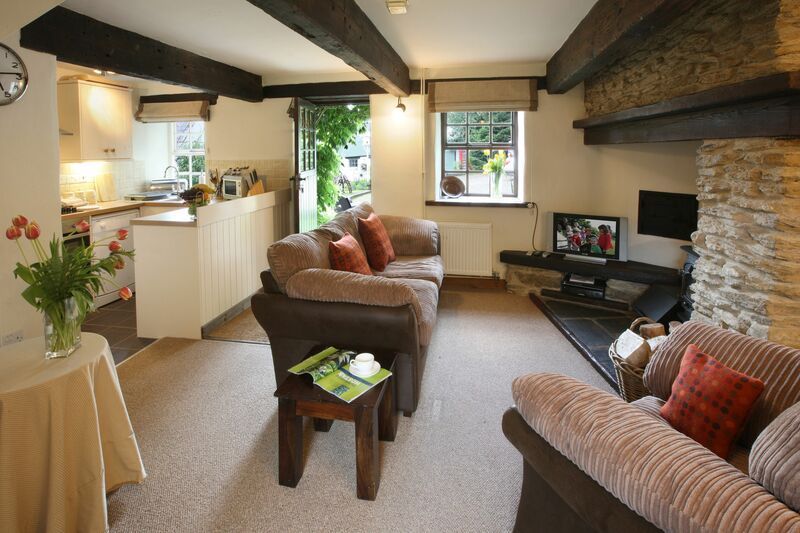 There is a comfortable open plan sitting/dining room with romantic inglenook fireplace and wood burning stove. 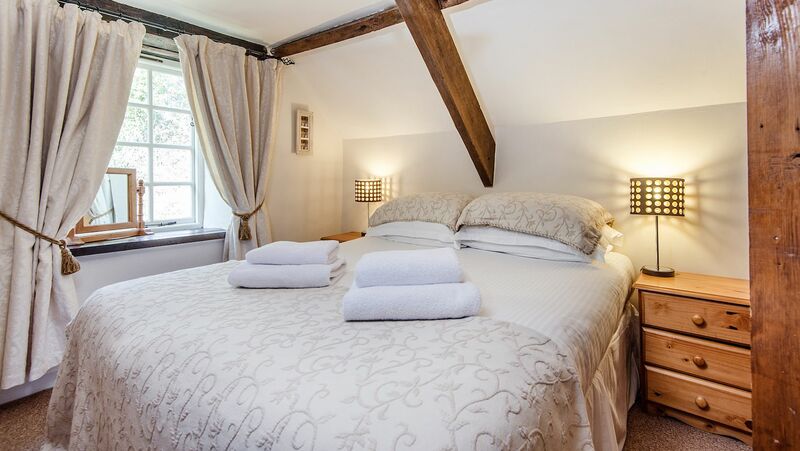 The cottage is equipped with contemporary luxuries including a flat screen TV with freeview, a DVD player and Ipod docking station. 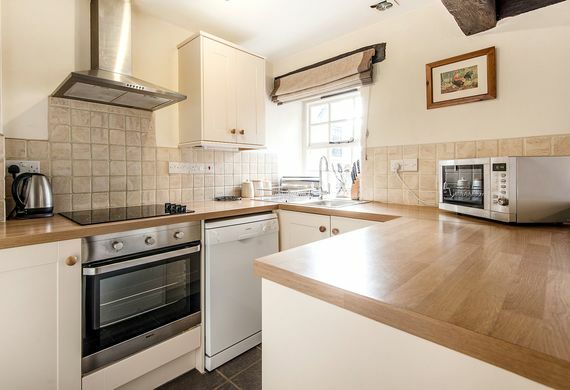 The small kitchen was recently refurbished and is well equipped for families with a new larger fridge (+ freezer compartment), a full size electric oven with ceramic hob and a microwave oven. Upstairs, one door off the landing leads to the bedroom with kingsize bed whilst the other door leads to a shower-room with electric shower (no bath). The cottages are nestled in 20 acres of grounds around four miles from the village of Boncath in unspoilt North Pembrokeshire Coastal National Park. The area is crammed with hidden coves and wide sandy beaches. Dolphins are often spotted in nearby Mwt, which is a peaceful sandy cove. 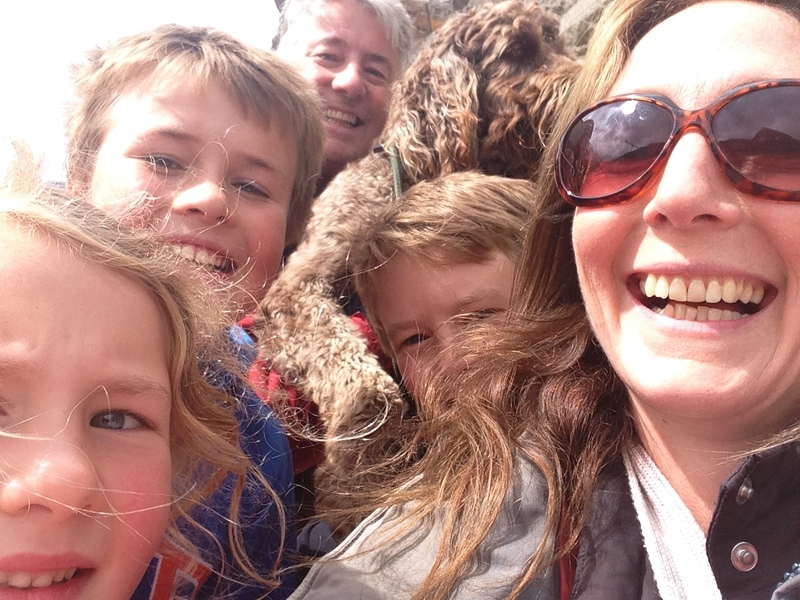 Try Tresaith for its handy pub, with kids meals, overlooking the beach. Eating & Drinking - The Nag's Head in Abercych (2.5miles away) has a great reputation for good food and ale, as well as having a lovely outdoor play area for kids. . Some of the region's best restaurants are also fairly close to the cottages. The Harbourmaster at Aberaeron, Penrhiwllan gastro-pub and Red Cow in Newcastle Emlyn, are all well worth arranging babysitting for, although the latter (run by BFB owners and parents) has a great early supper menu for junior diners with colouring sheets etc. 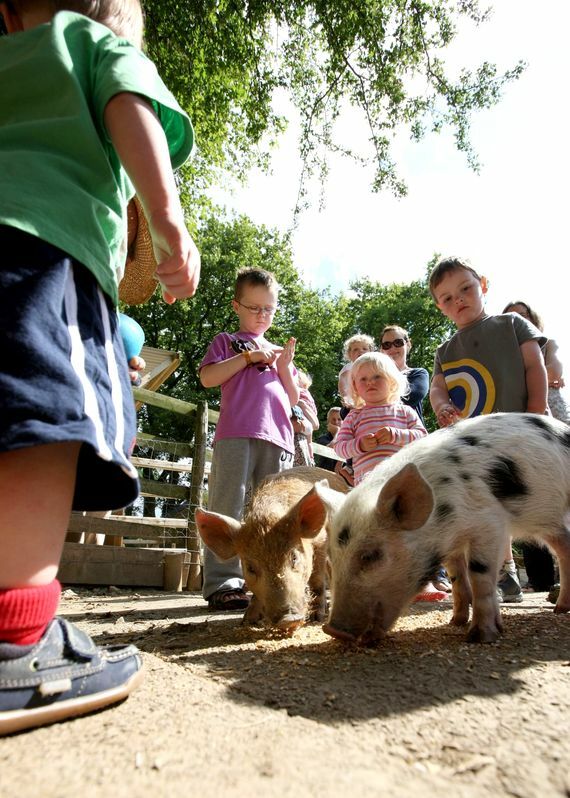 Days Out - Around 45mins drive away, Folly Farm is a brilliant wet weather day out thanks to its petting farm, tractor tours, indoor Victorian fun fair, soft play and huge adventure play zone, most of which are under cover. Don't miss a dolphin or seal spotting boat trip from Cardigan and the popular Victorian seaside resort of Tenby (near Folly Farm). 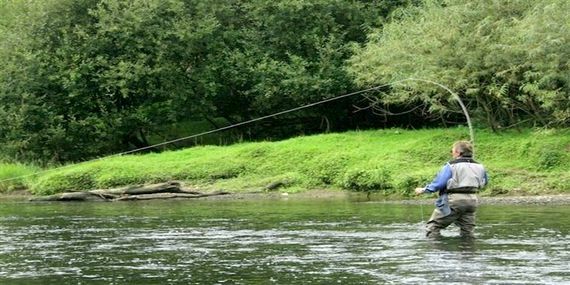 Shopping - Newcastle Emlyn around five miles from the cottages has a good selection of shops, banks, bistros, cafes and delis and a beauty salon offering a range of treatments. For lovely boutique shopping, art galleries and a ceramic painting cafe, visit the pretty town of Narbeth.. try to resist the chocolate factory tours nearby! 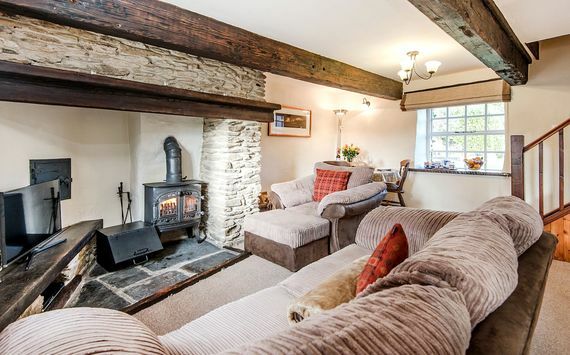 Welcome, croeso, to our home – Clydey Cottages Pembrokeshire. We, The Davies Family, are Dewi, Jacqui, and our three children Tomos (14yrs), Dafydd (12yrs) and Catrin (8yrs). We knew we had found a special place as soon as we saw it and we know you’ll feel the same way. We’d like to share it with you. We very much look forward to welcoming you to Clydey Cottages Pembrokeshire in the near future. 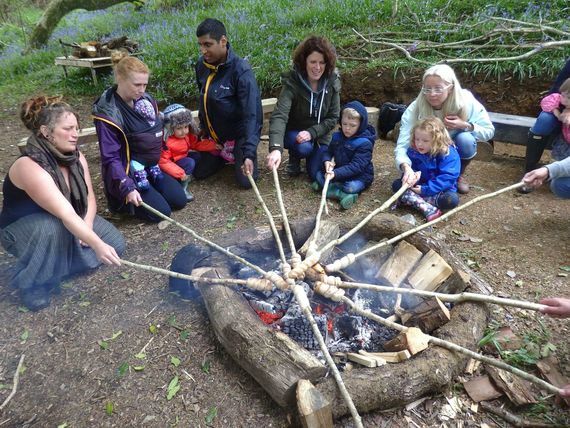 “Seeing our children grow up with carefree freedom, plenty of space and outdoor life is confirmation that we definitely made the right decision – if we need confirmation that is. 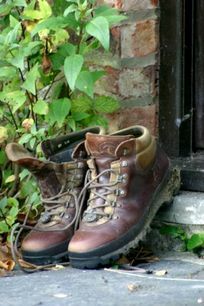 I can honestly say, there is nothing, absolutely nothing that I miss about our previous life.” says Jacqui dreamily as she sits on the bench outside the Farmhouse, listening to the birdsong and watching her young family run through the wild flower meadow outside – idyllic indeed. 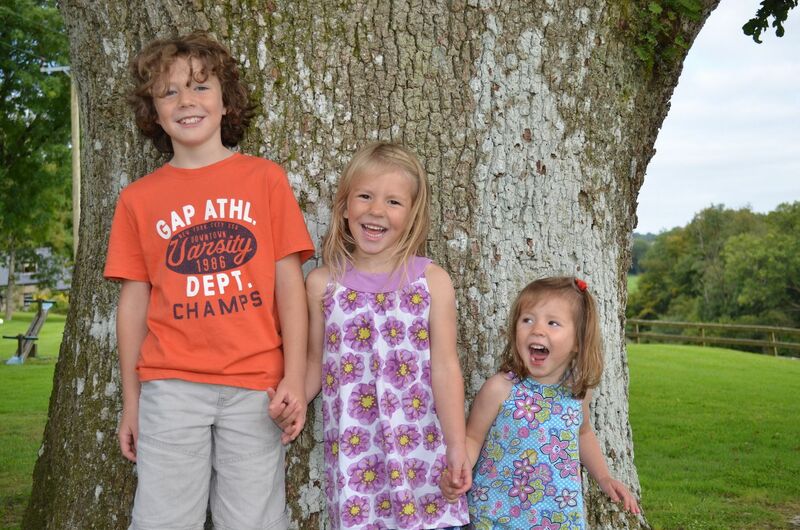 From the moment children arrive, they look forward to days full of fun, frolics and fantastic memories. In the morning, children can join the 'Clydey Young Farmers Club' and help to feed the resident Kune Kune pig - Iggle; the sheep with their lambs; Shetland ponies; Noah and Nelly the donkey's; Zig & Zag the Pygmy Goats, the Alpacas, the rabbits, guinea pigs and the chickens - not forgetting to collect the freshly laid eggs and take them back to Mum and Dad for breakfast very day. After animal feeding, there is splashing around in the indoor heated pool to be done, before heading over to the adventure playground with climbing tower, slide, see-saw, rope swings and sand-pit. 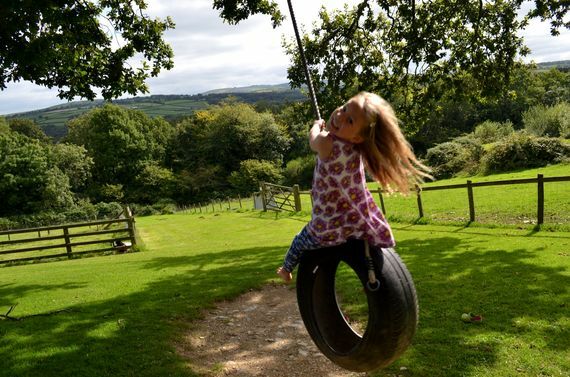 The 20 acres of grounds provide a safe environment for children to run around and roam freely, which means Mum and Dad can relax, knowing their little ones are not only happy and safe, but enjoying the fresh, outdoor Pembrokeshire air. 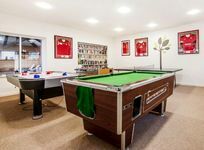 At any time of day, the Games Room provides an indoor haven for Table Tennis, Table Football, Pool and Air Hockey as well as Board Games , books and DVD's to borrow and take back to your cottage for a fun-filled evening. Younger members of the family are not forgotten. 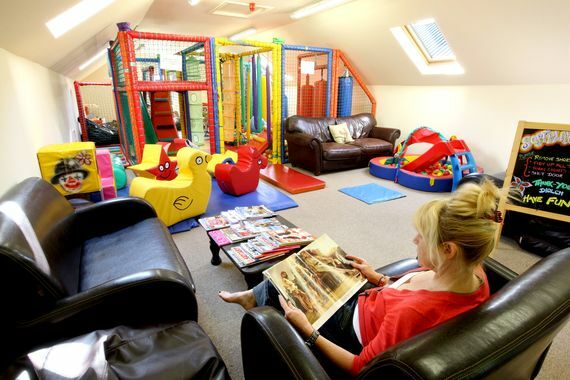 There is an indoor soft play area, with comfy sofas for Mum and Dad to relax with a coffee and read magazines whilst the little ones play; the play-pen on the pool side to keep babies safe whilst Mum and Dad enjoy a relaxing swim; as well as the sand-pit, ride-on toys and baby swing. 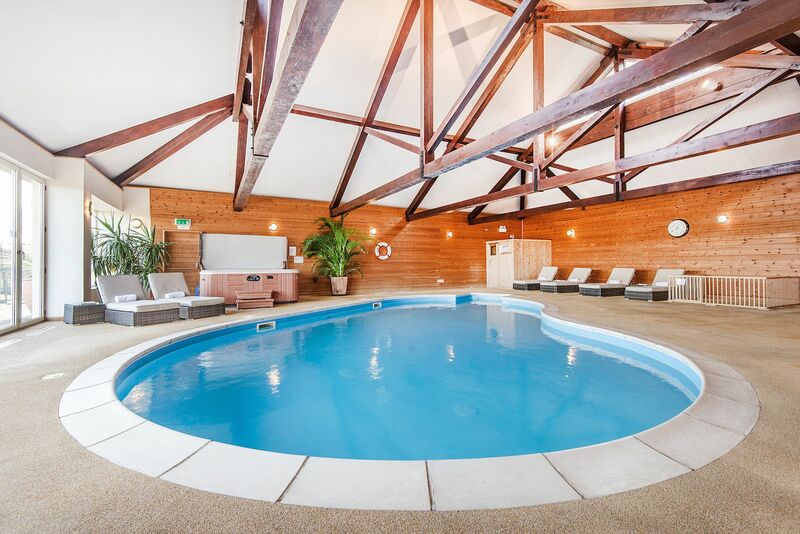 New for 2016 is the complimentary Children's Club Creche, where you can leave your little ones for some supervised play whilst you enjoy a few child-free hours to have a relaxing treatment in the dedicated Clydey Spa, a leisurely lunch or simply to put your feet up with a good book. Clydey is just under 2hrs drive from Cardiff Airport. A selection of lovely unspoilt beaches are within 10-15mins drive including Mwnt for dolphin spotting and Tresaith for rockpooling and beach-side pub serving good food. The local village with child friendly pub- The Nags Head is just 2 miles away. The pool is heated to a very comfortable 31 degrees (outside air temp 30 degrees) making it ideal for little ones. There is a spa suite on site offering a range of treatments. Clydey now has an amazingly well-equipped indoor soft play area perfect for little ones plus a cosy coffee corner with magazines for grown ups. 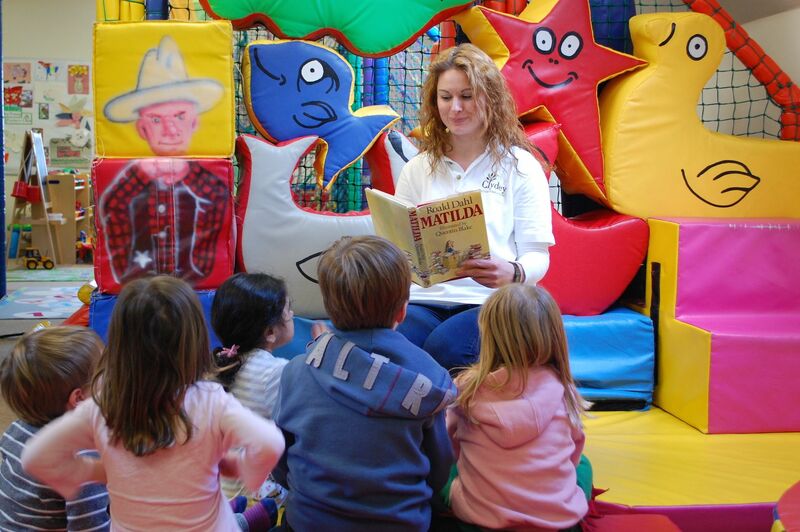 A pre-bookable creche/kids club is offered two afternoons a week from 1-5pm which is complimentary. The club is run by qualified, safety checked staff who can care for little ones from newborn. Trusted, CRB checked local babysitters can be pre-booked. Along with full sized cots, highchairs and stairgates, child-friendly crockery and cutlery can be provided. A selection of toys, books, DVDs and games is available on free loan from the games room. 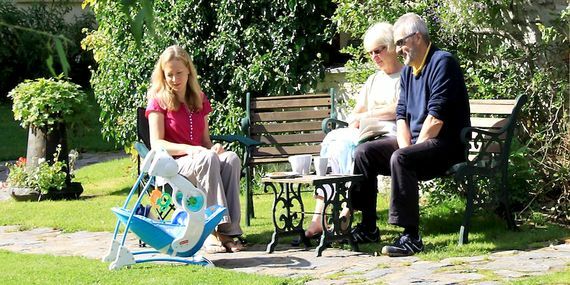 Little ones can often be found outdoors enjoying the swings, slide, sandpit and selection of ride-on toys provided. A pre-bookable creche/kids club is offered two afternoons a week from 1-5pm, which is complimentary. The club is run by qualified safety checked staff who can care for little ones from newborn. Each cottage has free WiFi and an Ipod dock. 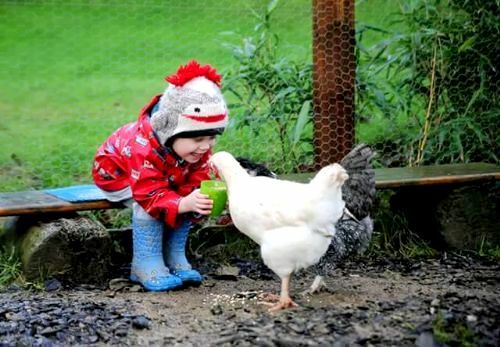 Clydey offers little ones the chance to partake in daily animal feeding (pigs, goats, chickens, alpaca's, rabbits, guinea pigs and ponies) plus egg collecting rounds. 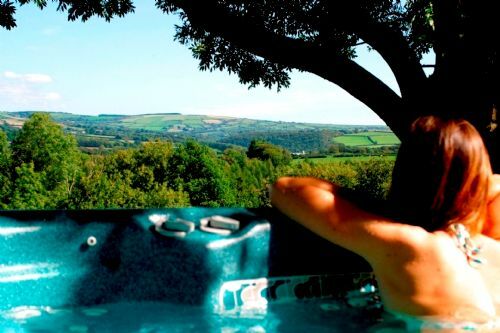 There is a scenically set hot tub within the grounds that is available for use by all cottage guests and an indoor hot tub next to the pool. My only concern is that by writing about my stay at Clydey, there is the risk that more people discover it making it harder to book in the future. If there is a negative, it is the lack of mobile reception and poor bandwidth on wifi, but one could argue that this is part of the charm. We had an absolutely fantastic holiday at Clydey in August 2017. So good, we're going back next week. The set up is perfect for parents with babies and young children and animal feeding each morning was a real highlight. There is a reason (or several in fact) why so many families keep coming back! Absolutely brilliant service! Would recommend to anyone with young children. "Farmer Malcolm" was fantastic with the kids! In saying that every single staff member was lovely. They know all the kids by name and do everything to make you feel welcome and at home! Attention to detail and consideration for young families needs was fantastic, very refreshing. Staff are outstanding, especially farmer Malcolm, the daily animal feeding added something special to our holiday. Beautifully restored cottage in a stunning location. Perfect for a couple with a smallish baby. The facilities at the site are incredible, with an indoor heated swimming pool, hot tubs, soft play and games room available 24 hours a day. Everything has been thought of here, right down to the (free) coffee machine and sofas in the soft play room, for adults to chill out while their little ones play, and a playpen and proper changing table by the pool. 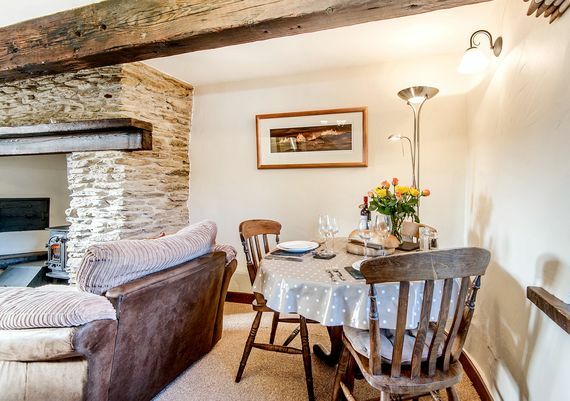 Foxglove Cottage is beautiful, comfortable, and spotlessly clean. If you're over 6 feet tall, you may struggle a little in the bathroom, where the average ceiling height is about 5'6" though! The amenities were brilliant and our 11 week old had a brilliant time. A fabulous place which had thought of everything a family with young children need to have a relaxing and happy holiday. 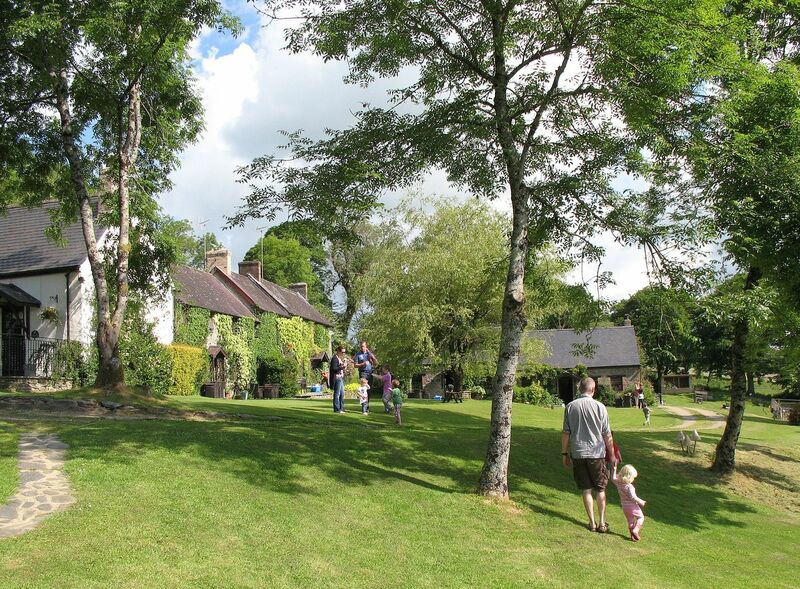 Superb location, excellent facilities with baby and toddler use. The staff seemed extremely committed to making sure the holiday experience at Clydey Cottages was as perfect as possible, especially farmer Malcolm and his daily (morning) feeding the animals sessions. Perfect, much better than expected and will definitely return. Fantastic getaway! Can't wait to go back again. We had a great time - the first holiday with just the 3 of us and the facilities are great. As a child friendly cottage we havent been anywhere better. Absolutely idyllic setting, beautiful 'base camp' for day trips. We will be back! 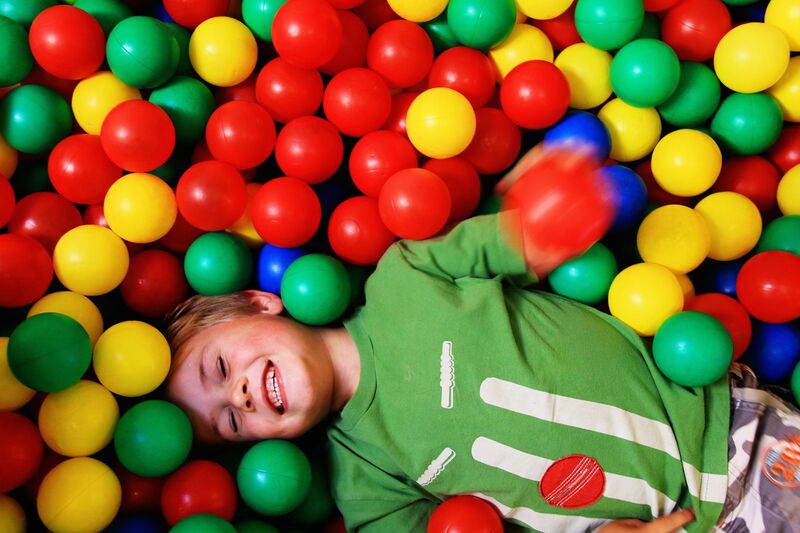 We love this place and so do the kids. Foxglove is cosy but not a squeeze for 4 of us at all. We hardly had to spend on entertaining the children with all the fantastic facilities and wonderful beaches nearby. Clydey has everything you can think of as a parent. 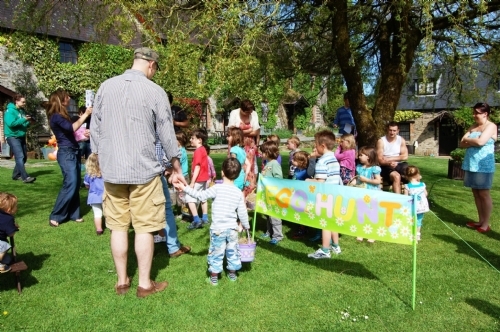 Easter egg hunt was such a bonus and great for the kids.